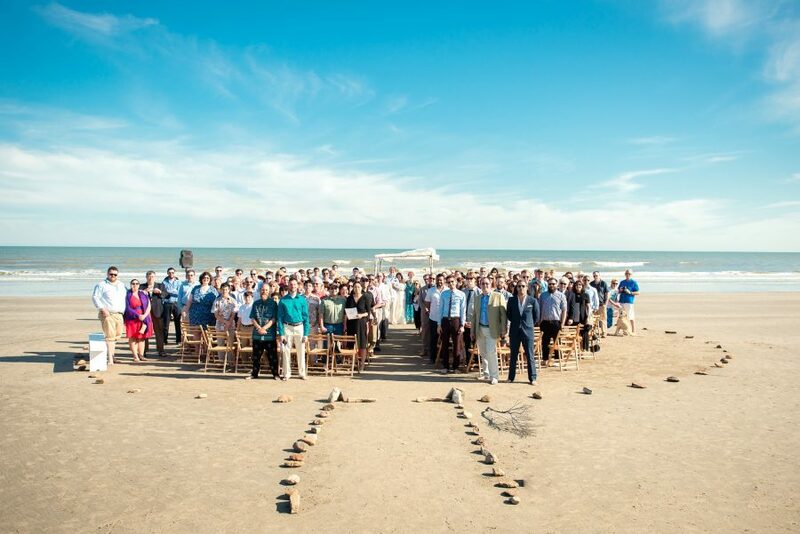 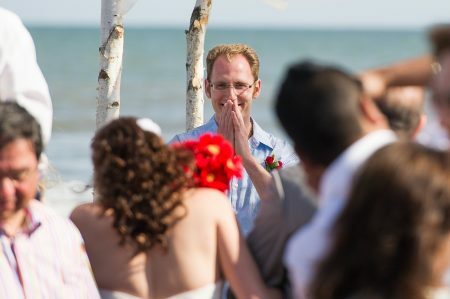 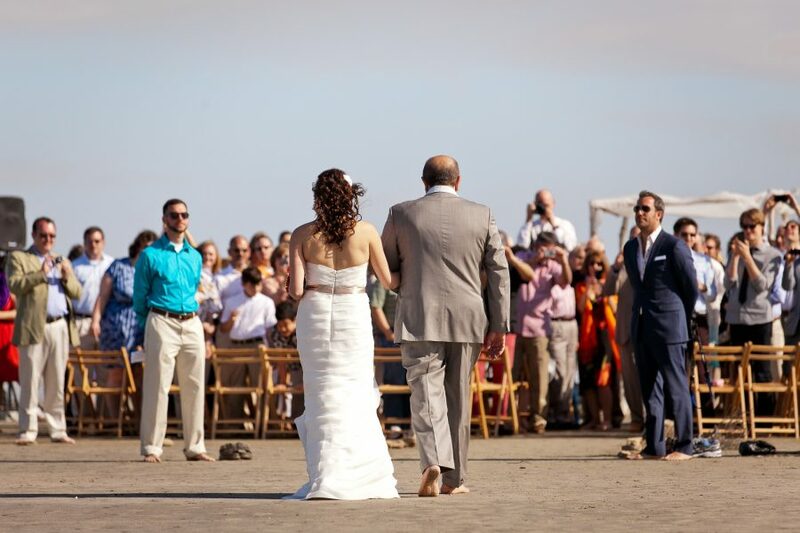 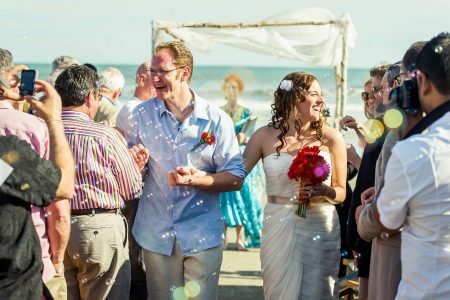 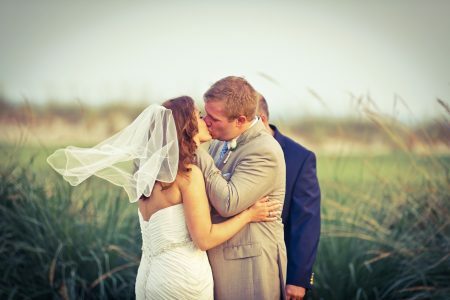 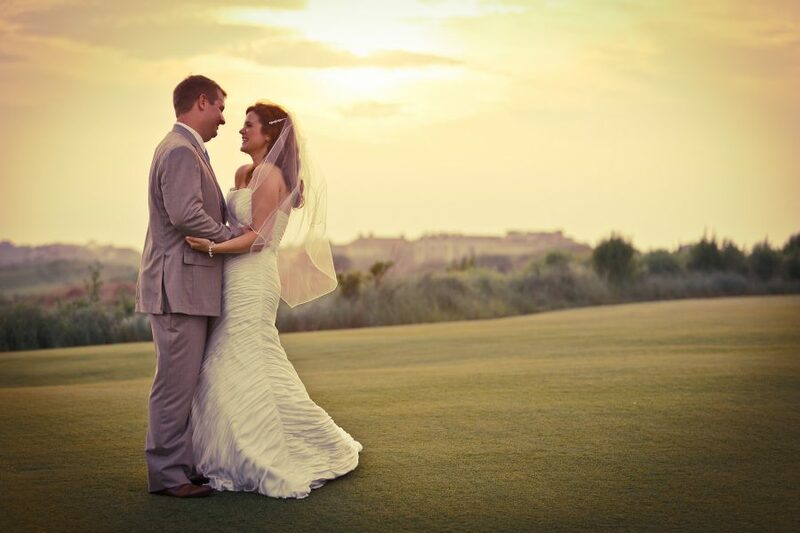 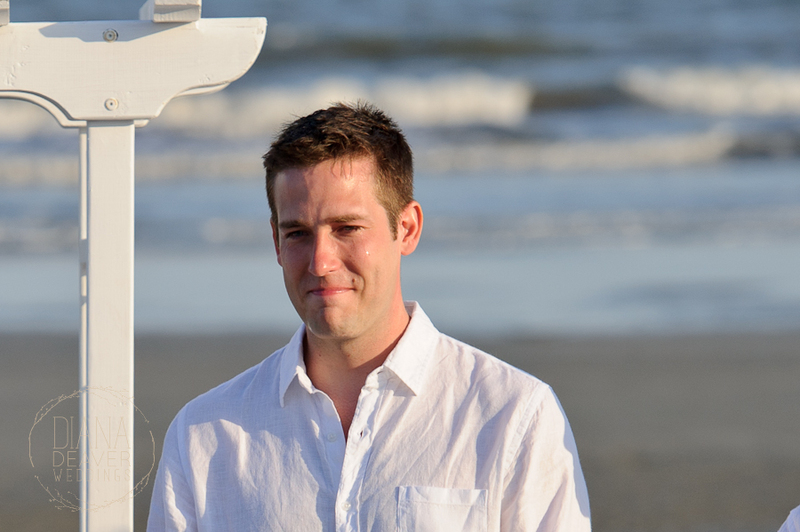 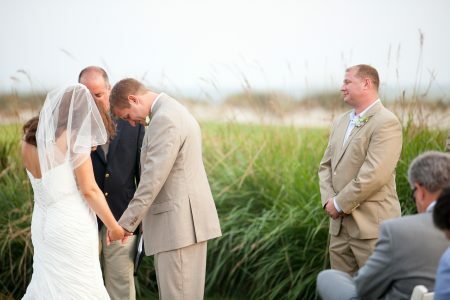 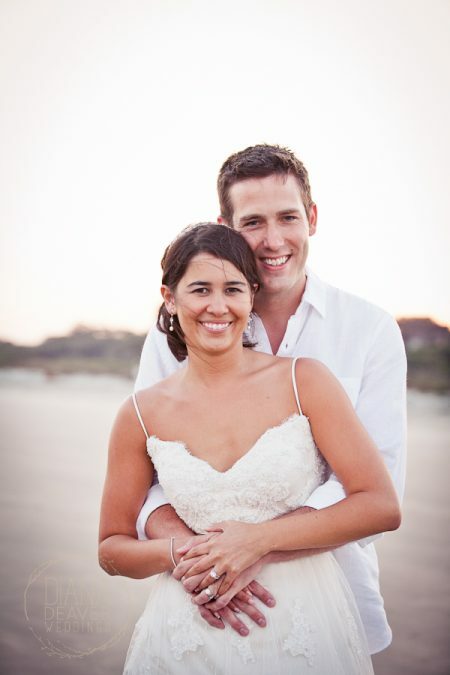 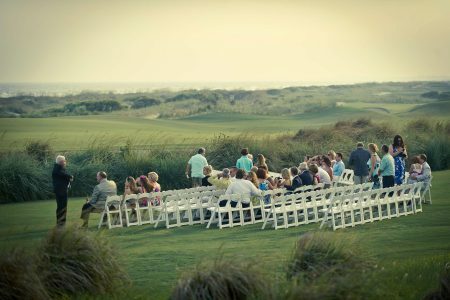 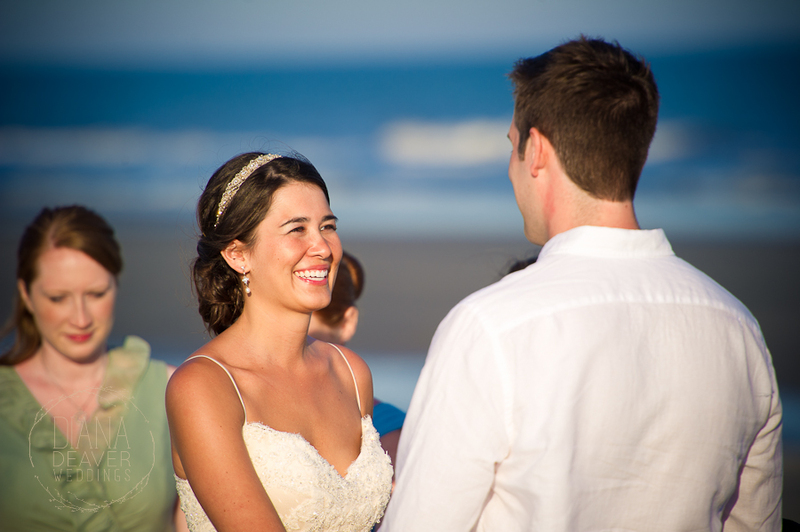 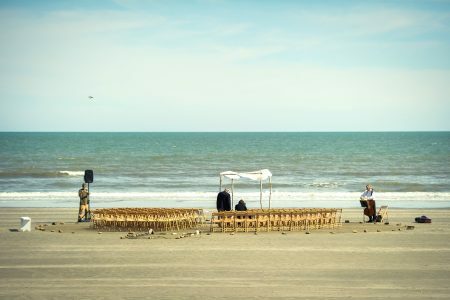 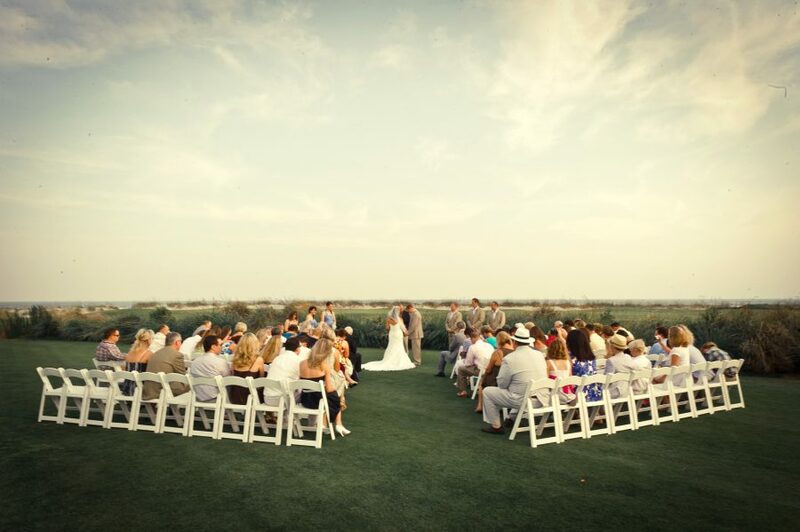 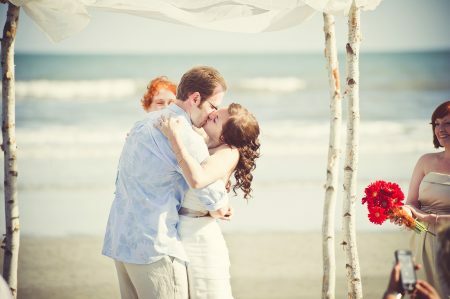 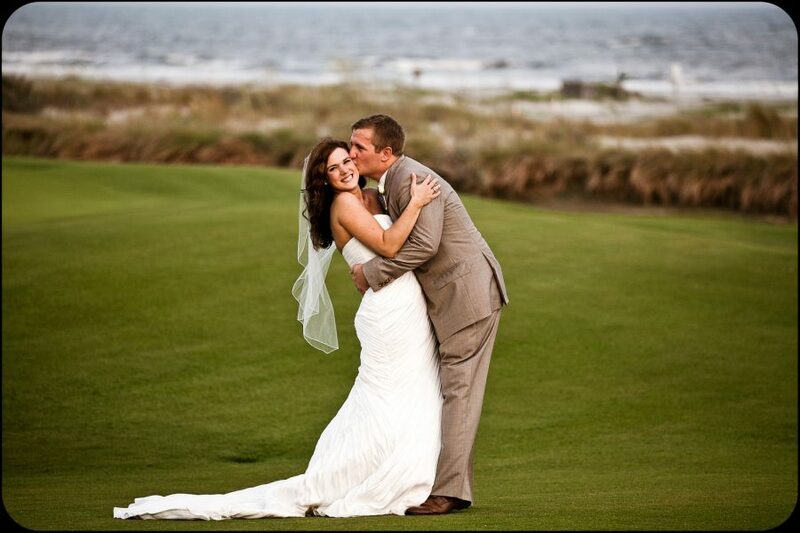 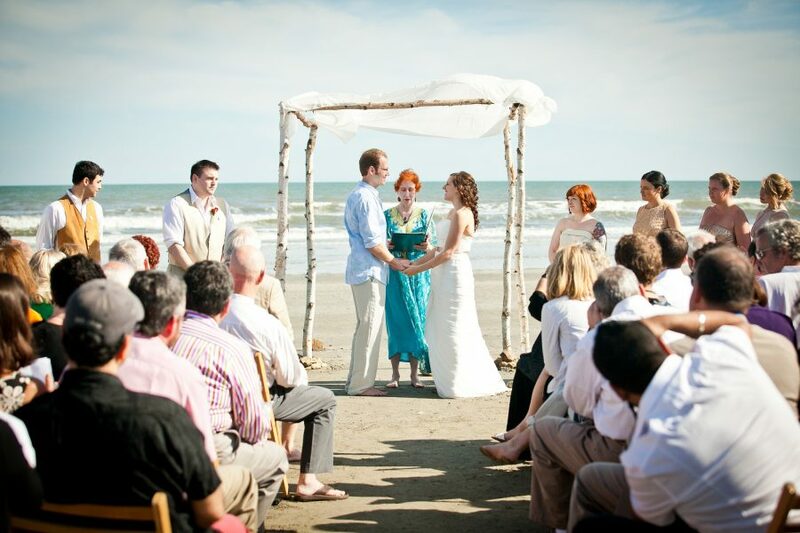 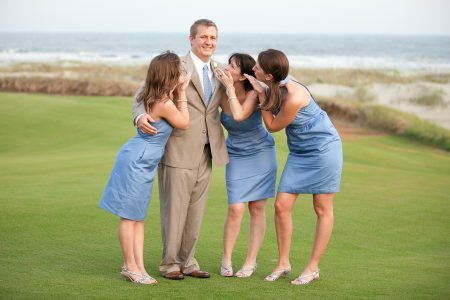 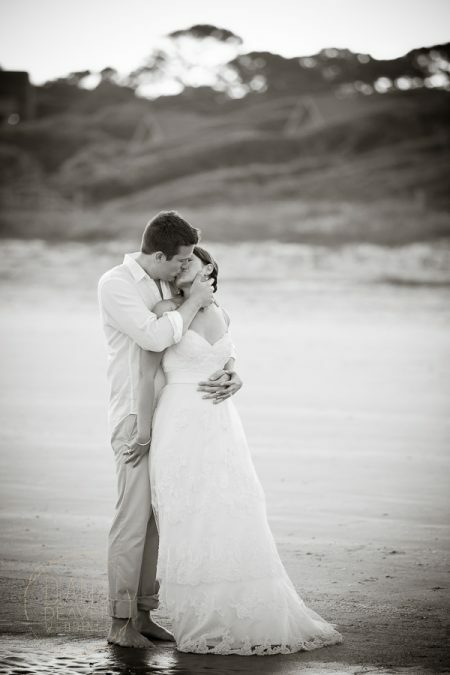 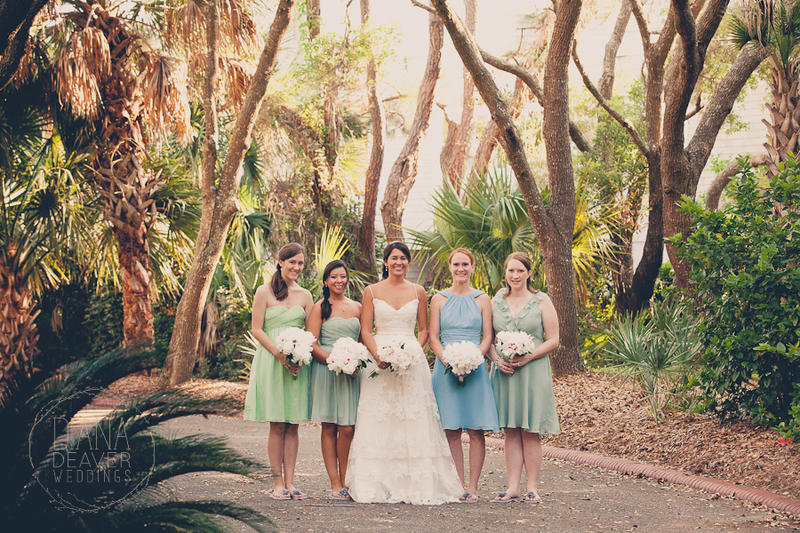 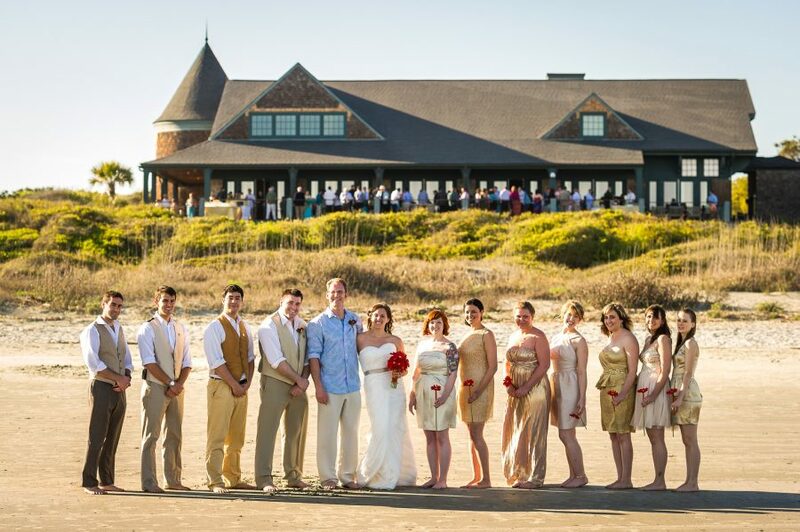 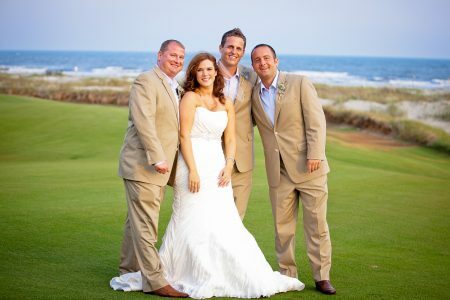 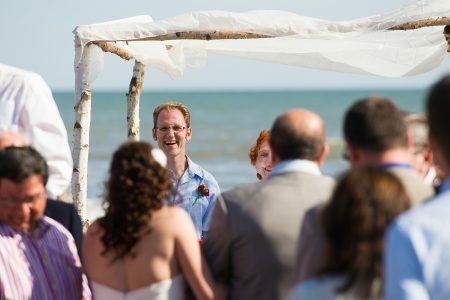 Weddings on Kiawah Island are romantic, relaxed and infused with nature. 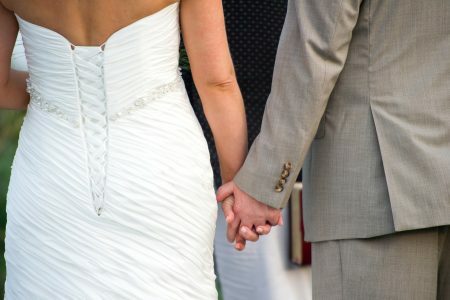 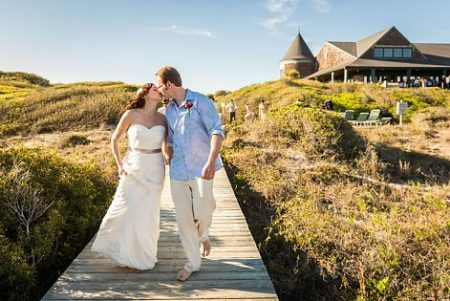 The proximity to the ocean and the spectacular landscapes are just a few of the reasons so many people choose to travel to Charleston for their special day. 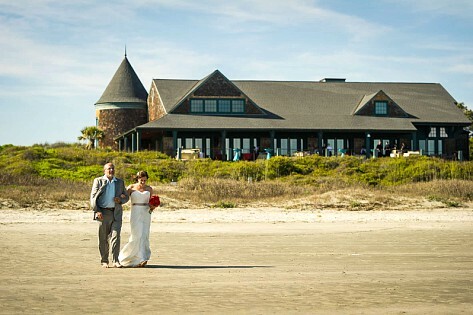 Below you’ll see tree weddings on Kiawah Island, photographed at the Sandcastle in Kiawash SC (April) and The Ocean Course. 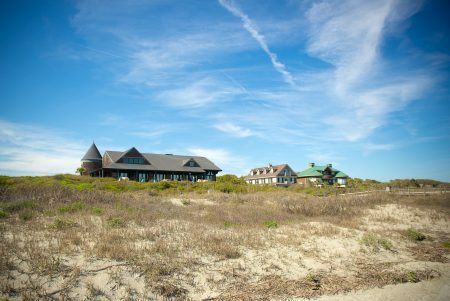 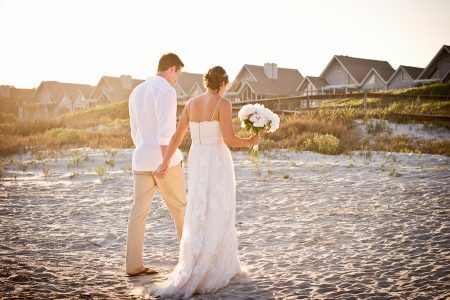 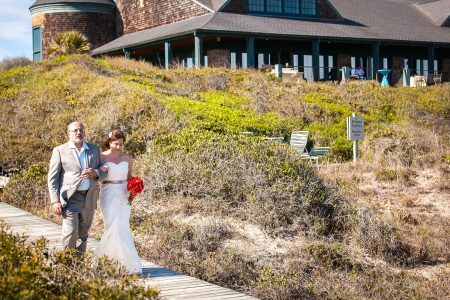 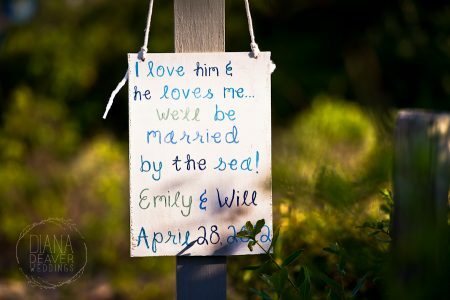 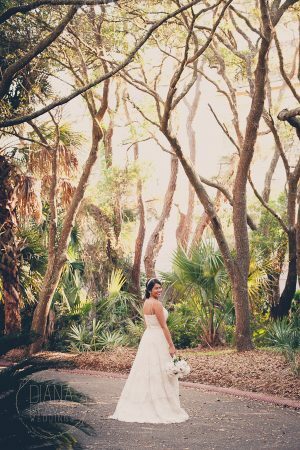 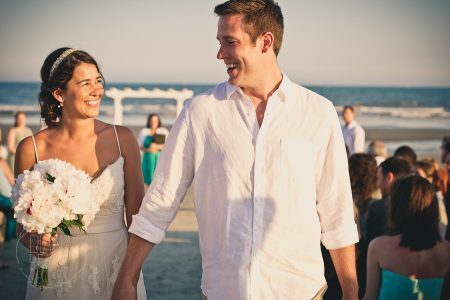 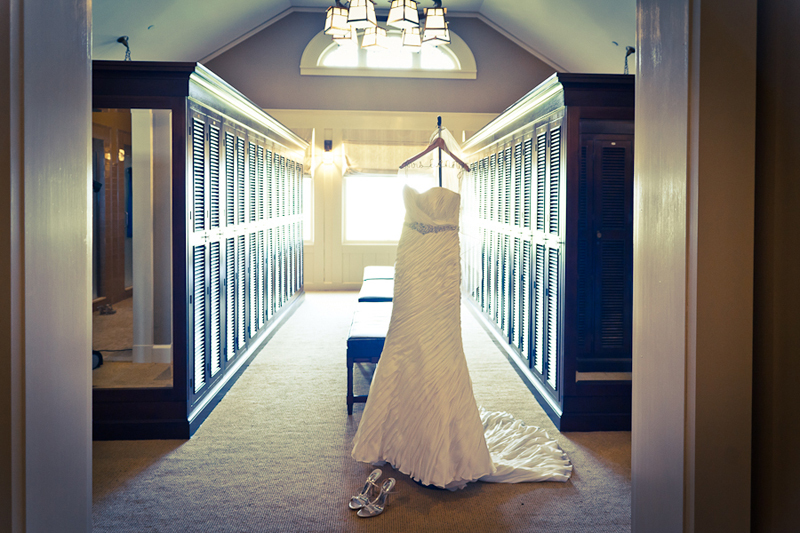 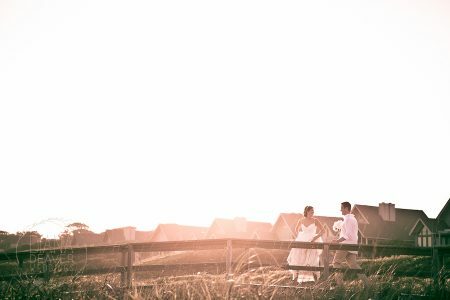 If you’re getting married on Kiawah, you’re most likely getting ready on Kiawah and that means that beautiful homes and beautiful nature will be at your disposal for photos. 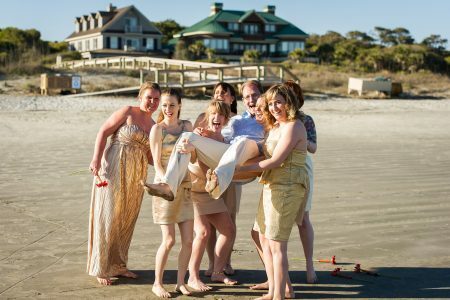 As I look back over some of the most extraordinary moments I have experienced as a wedding photographer I cannot help but mention Josh and Lia’s wedding at the The Sand Castle @ Kiawah Island. 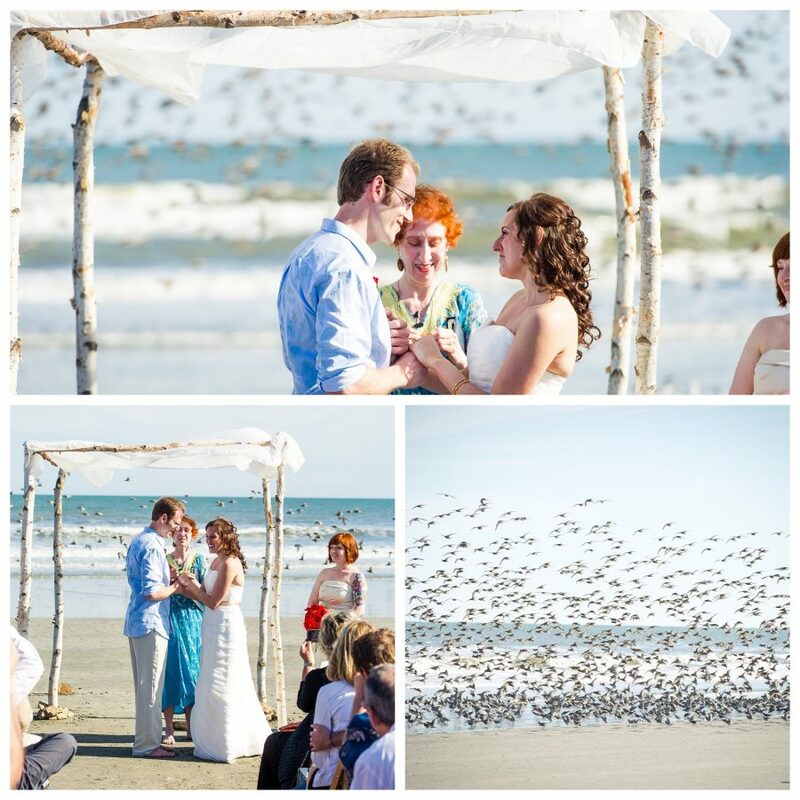 In the middle of their wedding ceremony vows a gigantic flock of birds flew by as to enhance their already heart felt words. 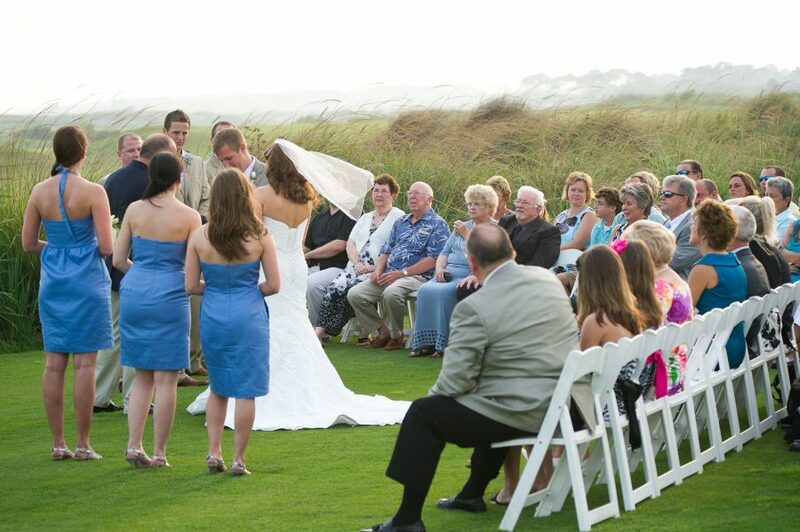 All guests were in awe and gratitude for the good omen nature was granting them. 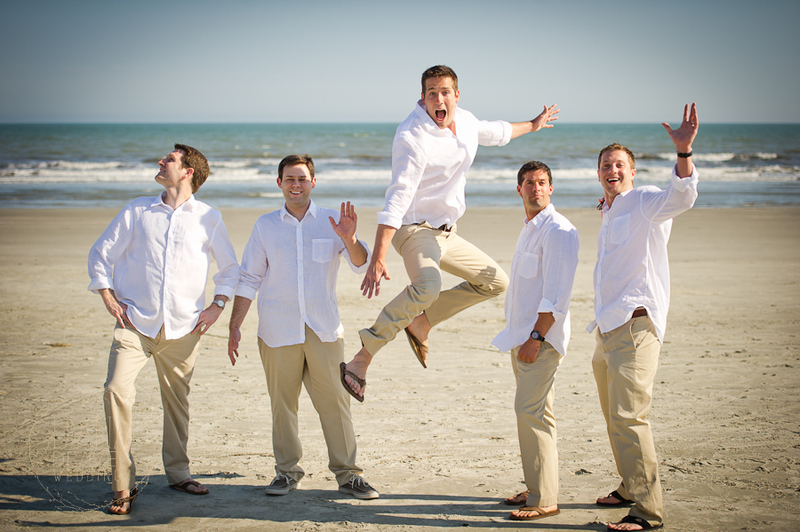 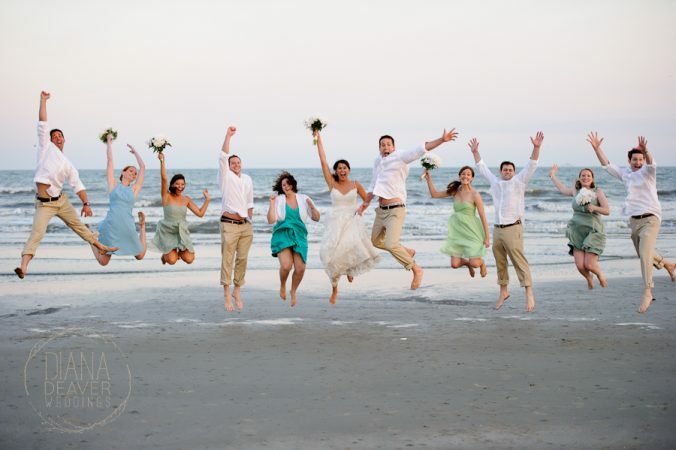 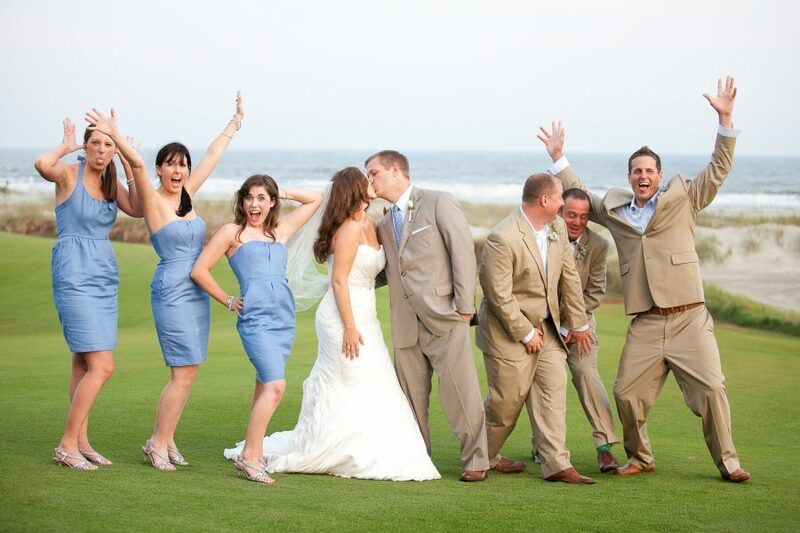 Whether you like to stay formal or get goofy, group photos on the beach can be a lot of fun. 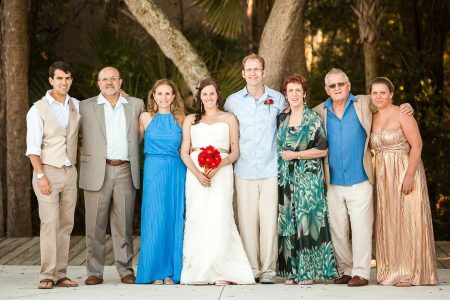 We use a formal photo list that gets filled out before hand and streamlines the process to a max of half an hour. 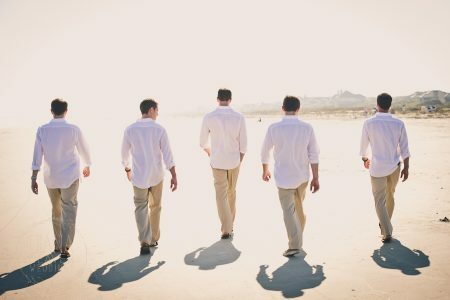 We usually start with the elderly or the really young, so they can return to the cocktail hour first. 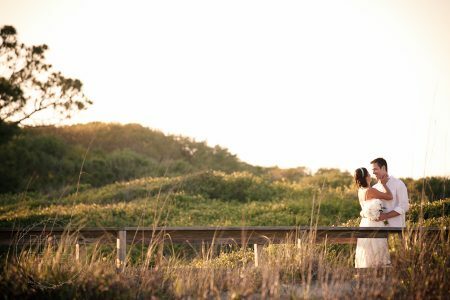 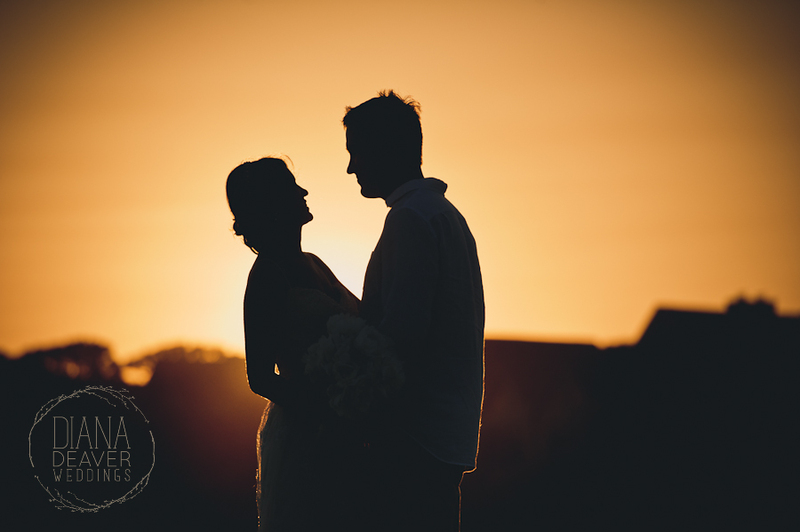 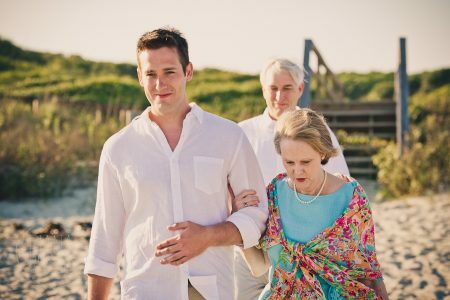 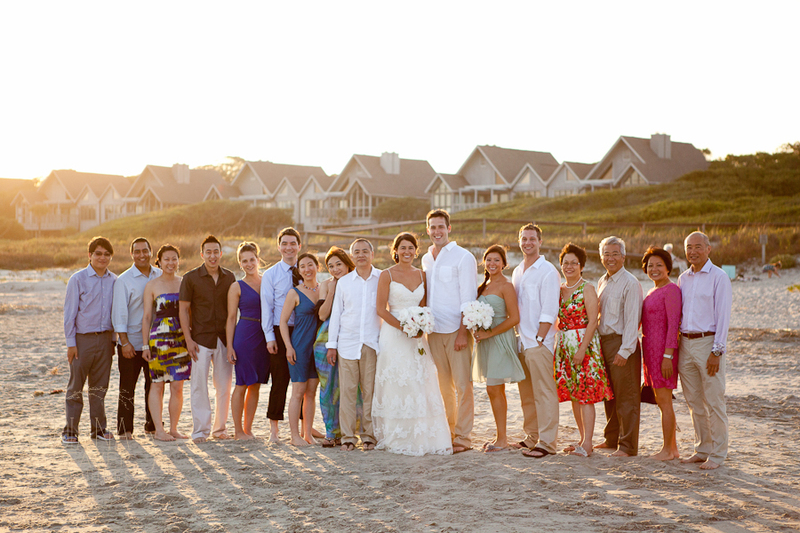 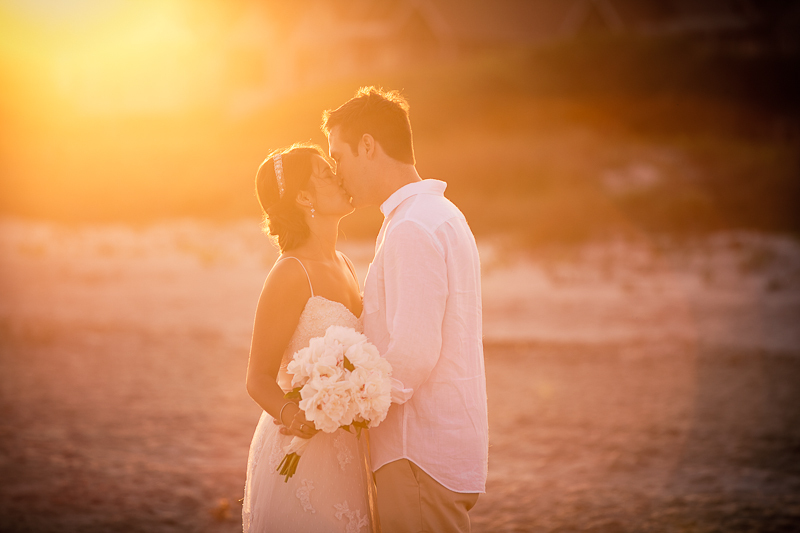 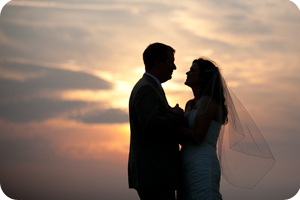 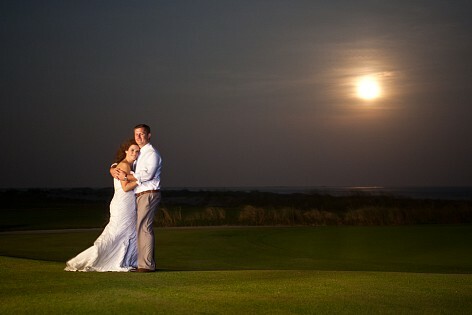 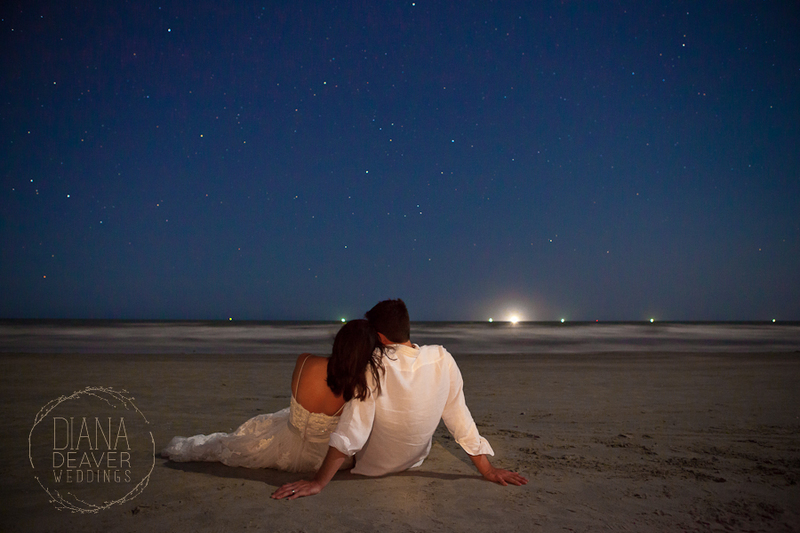 Weddings on Kiawah Island beaches are incredibly romantic, especially when it comes to wedding photos at sunset. 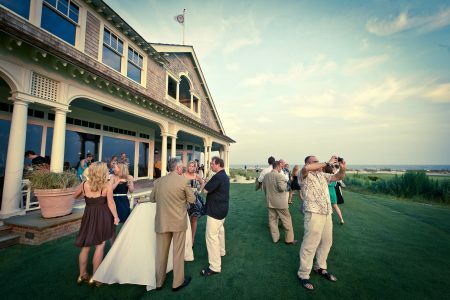 Once the formal photos are completes, we invite all the guests to join the cocktail hour and we only keep the bride and groom for a few photos of just the two of them. 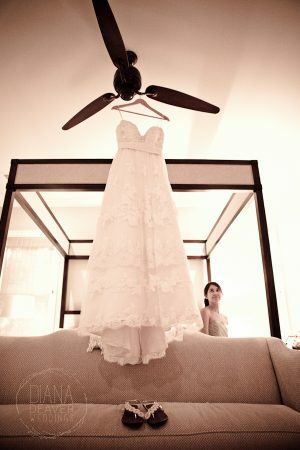 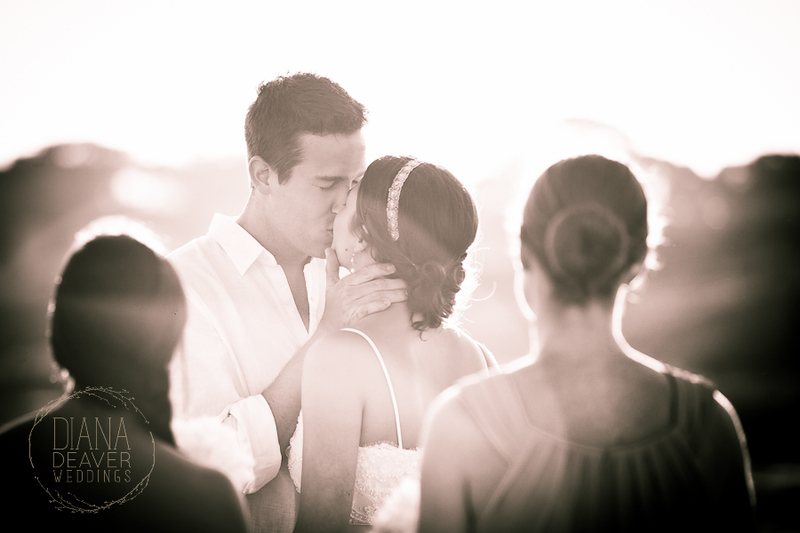 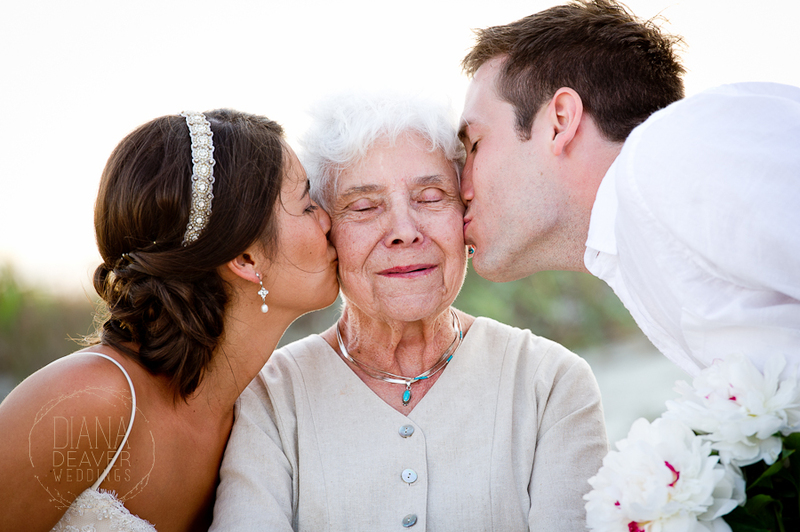 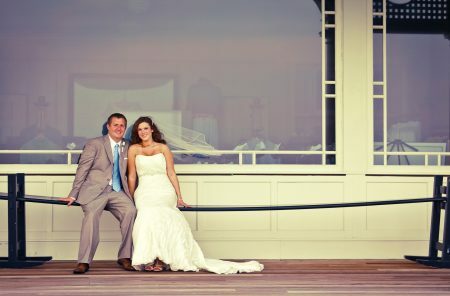 This offers them the opportunity for really special moments captured on the day of their wedding. 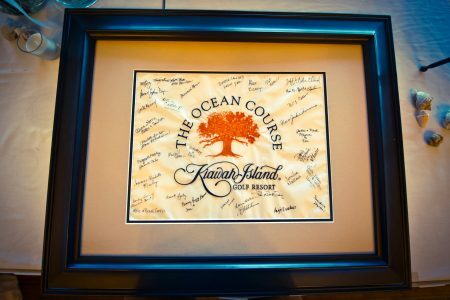 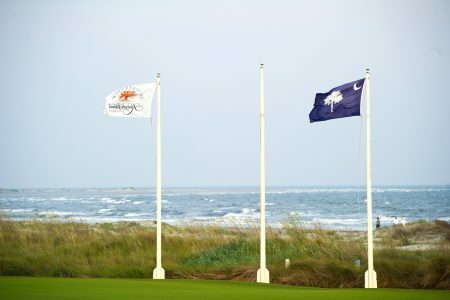 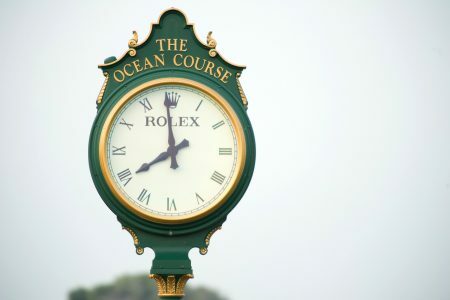 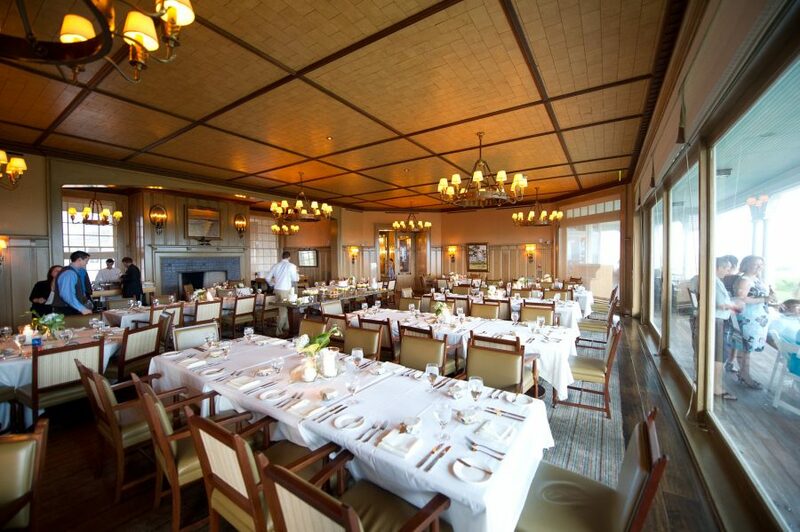 The ocean course on Kiawah is one of my favorite venues in Charleston. 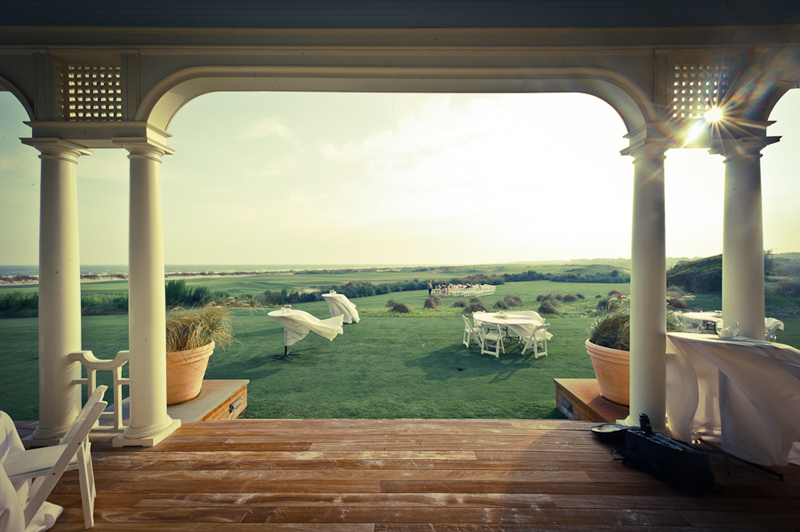 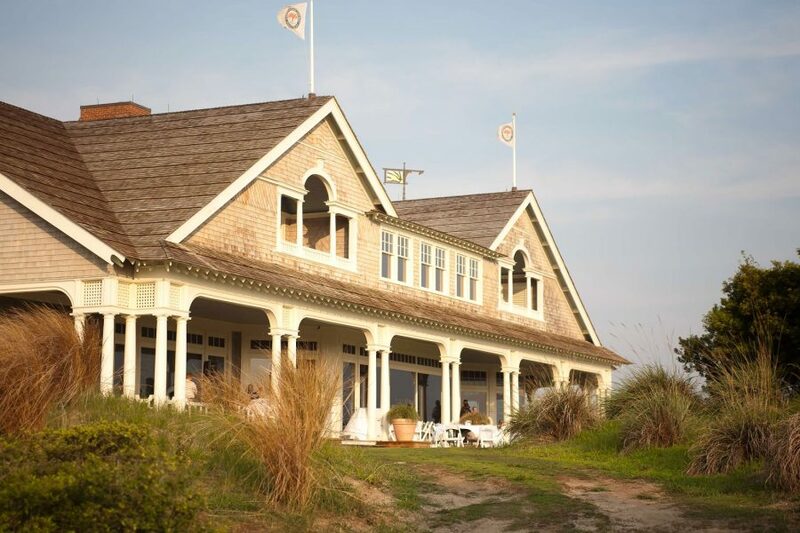 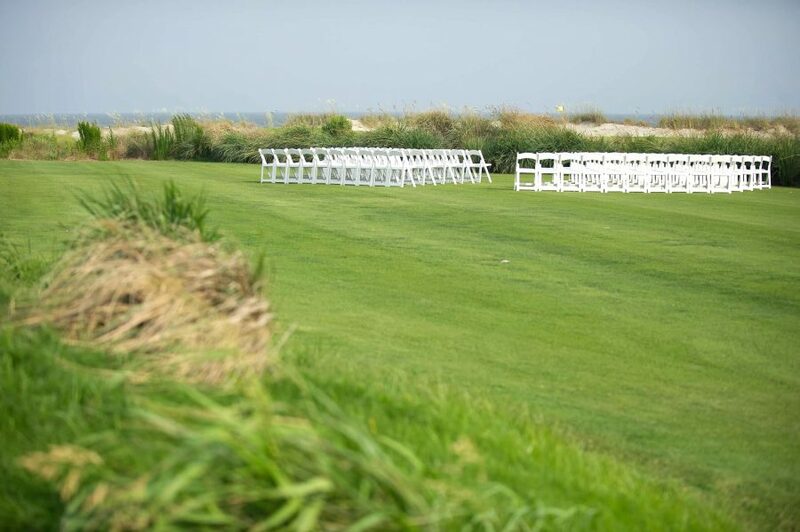 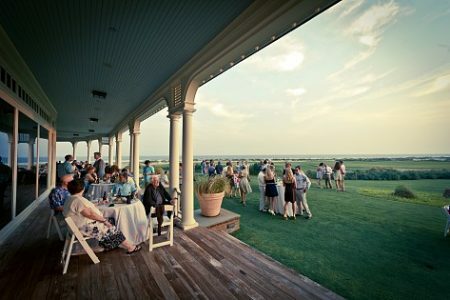 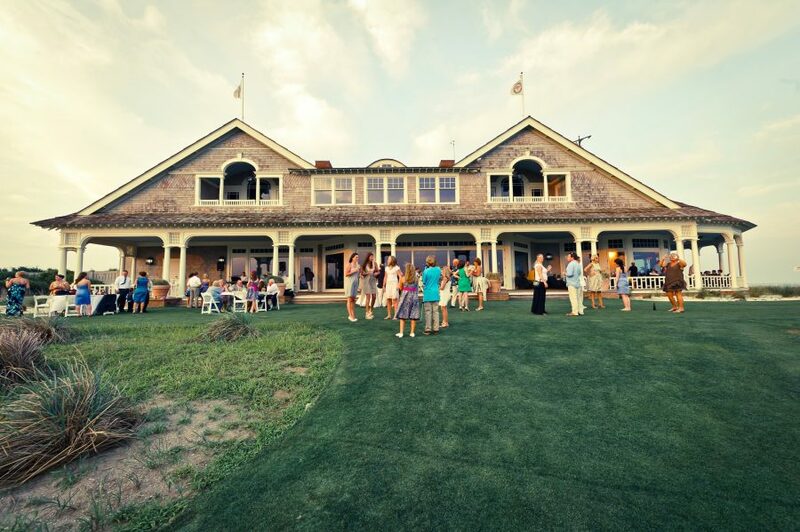 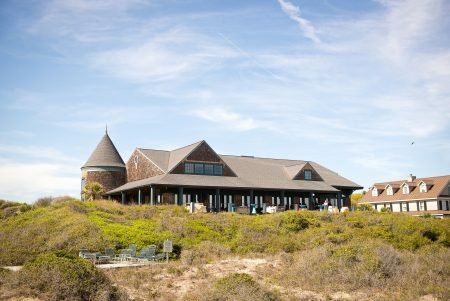 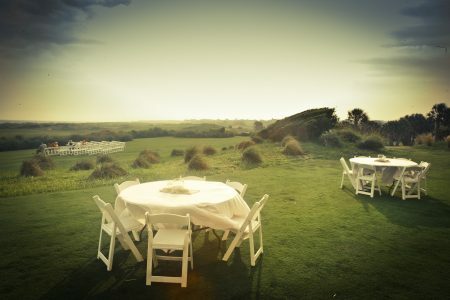 Imagine perfectly manicured lawns as far as your eyes can see, elevated ocean views and exceptional catering- yes, you get all that at this Kiawah wedding venue. 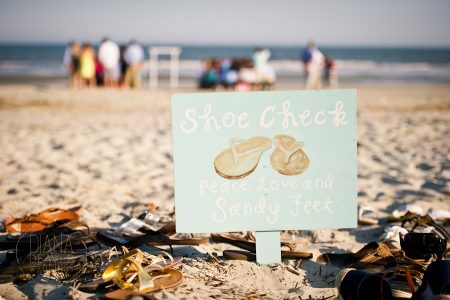 And if you wish to dip your toes in salty water, it’s as close as a short walk.